On the 13th February I attended an event held at the Royal Pharmaceutical Society, a seminar being jointly hosted by the Company Chemists Association and HMRC. The focus of the session was to begin discussions on IR35 and how these changes will be applied in the pharmacy Industry. I was keen to share information and initial discussions on this area, which has the potential to have a huge impact on our industry. 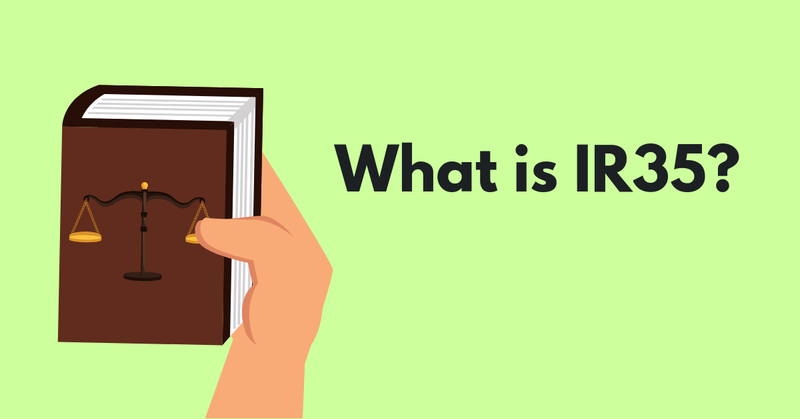 IR35 is tax legislation that is designed to combat tax avoidance by workers supplying their services to clients via an intermediary, such as a limited company, but who would be an employee if the intermediary was not used. Such workers are called 'disguised employees' by Her Majesty's Revenue and Customs (HMRC). Change is fast approaching, with the chancellor stating that how IR35 regulations will be applied will change in April 2020. HMRC and CCA are working together to understand and determine the tax status of pharmacy locums. The result of this will be increased collaboration and an understanding of the impact that will be had on locum pharmacists and pharmacy businesses, providing more clarity and greater understanding. The seminar held on 13th February was well attended by various key representatives from organisations within the pharmacy sector, including colleagues from The Federation of Ophthalmic and Dispensing opticians. HMRC representatives John Lauder and Russel Kirk (who work within Employment Status and Intermediaries) and John Milburn and Brendan Dewar (who work with large businesses) were in attendance. The purpose of the event was to commence discussions between HMRC and the industry, with the intention to establish a settled future position regarding lR35 law and how this is going to impact locum pharmacists longer term. A lot of time was spent during the session discussing the use of locums in the sector generally. HMRC have had ‘direct engagement’ with businesses in the sector and are applying increased scrutiny into understanding who is a ‘locum’ and who is effectively an employee. One of the key areas discussed by HMRC were “tests” applied within tax legislation to determine if someone is employed or self-employed. Due to complex issues a CCA working group will be collaborating with HMRC throughout the process and I will be part of this, seeking to provide updates as discussions continue to happen. HMRC have committed that their focus will be on helping businesses to comply and not to target historic cases. What does this mean to us as an Industry? Currently the answer to that question is unclear, though discussions are taking place now to reach an answer. Aside from the partnership between CCA and HMRC, a consultation has been launched by HMRC to allow views to be understood on the proposed changes. You can find the details of that consultation here, with the closing date 28th May 2019. When it comes to determining tax status generally case law would be applied for a decision on whether a person will fall either in or outside of IR35. The difficulty with pharmacy is that we are a very niche industry and are heavily regulated. Many of these regulations can impact on the ‘tests’ applied by HMRC to establish the Tax status of an individual. One area to be looked at is Control - this is one area which the HMRC ‘tests’ can be applied to. Due to the Responsible Pharmacist regulations as a pharmacist you have the control to close a pharmacy, if you feel it is unsafe. This is one area raised during initial discussions which HMRC – and if this answered the Control test, making a locum pharmacist an employee. A second area to look at is Personal Service – this is defined by the genuine, unfettered right to substitute. This is a grey area with pharmacy locums. If a locum pharmacist is unable to work the shift they are scheduled for – would it be deemed acceptable to send an alternative pharmacist? This is a second area raised during initial discussions which HMRC – and if this answered the Personal Service test, making a locum pharmacist not an employee. There are many questions to be answered and many areas for discussion. Currently it is unclear what decision will be reached on the tax status of pharmacy locums. It is, however, something all of us within the industry need to be aware of. As the process continues I will share my learnings at each step.